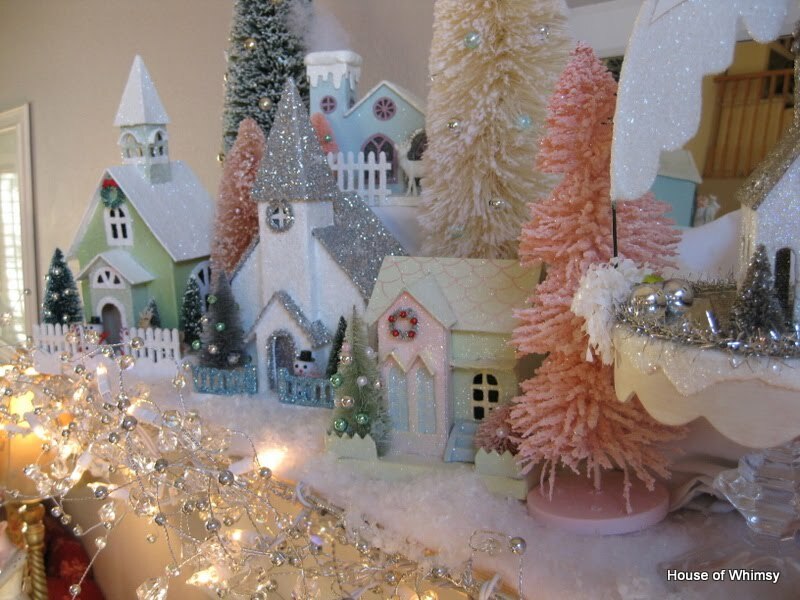 Yesterday I shared with you my obsession with bottle brush trees, and I showed you my pastel snowy village I have in my kitchen. 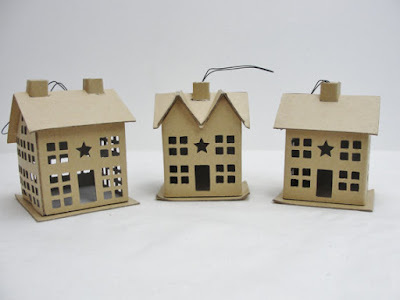 Today I wanted to talk more about the adorable little cardboard houses. Putz houses, or glitter houses, were popular in the late 1920s and 1930s well into the 1960s, and they're usually part of a whole village of colorful, glittery, adorableness, like this one. So adorable, I can't even. Also, source. 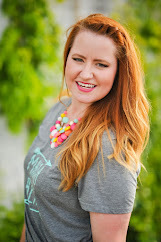 I am such a sucker for anything cute and miniature, and these glitter houses are the cutest and bittiest! 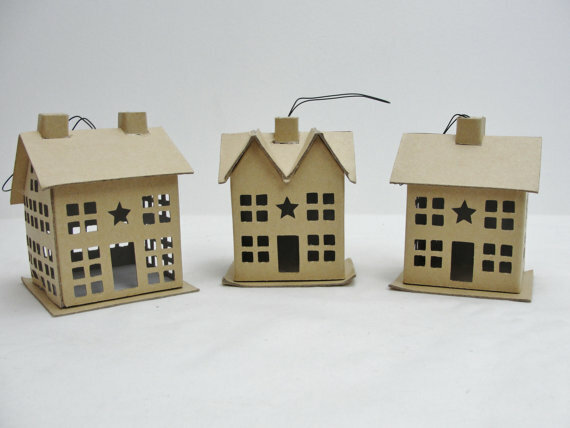 I bought these on Etsy here, but this shop has lovely little kits with everything you need to make your miniature Putz house. 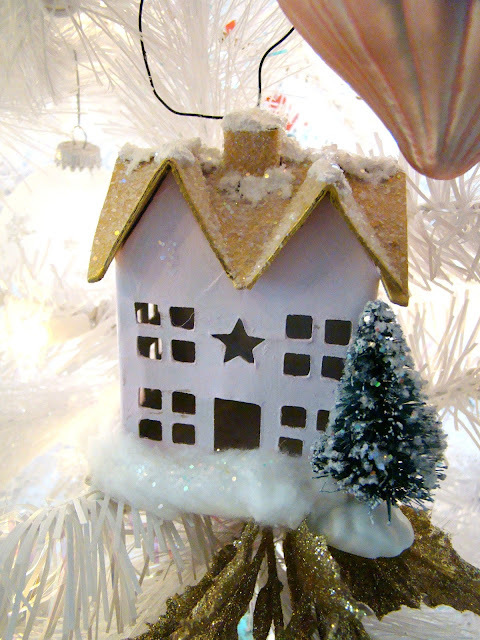 They started off as brown kraft paper houses, then you customize them with paint, glitter, fake snow, and mini trees. Here are more of mine that I used as ornaments on the tree, and also in the centerpiece on my kitchen table. 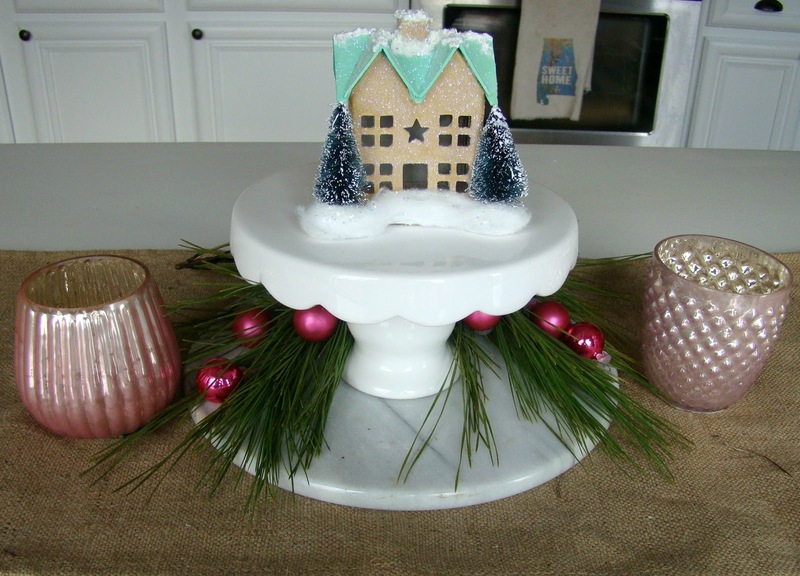 I think they add the perfect amount of vintage sweetness to our Christmas decor! I didn't make a tutorial, because I followed this one, and it was excellent. If you're loving these little Putz houses like I am, I encourage you to search around on Pinterest for them! I have found several tutorials on how to make your own patterns for them, as well as lots of inspiring photos to get your Christmas crafty juices flowing! 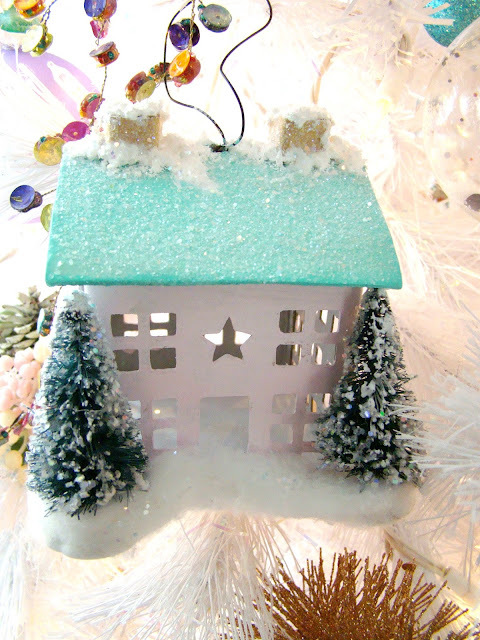 Next year, I plan to have an elaborate and adorable Putz city to decorate with! Bitty houses everywhere!